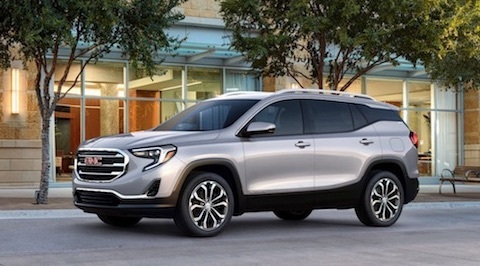 If you are looking for a new SUV you are probably considering the 2019 Ford Explorer and the 2019 GMC Terrain. Both of these versatile SUVs have updated convenience features and a variety of trim options. To help with your research we have put together the following vehicle comparison. The new Ford Explorer offers ample seating for seven adults while the GMC Terrain has seating for five. Even with an additional third row of seats the Explorer offers more head and legroom for passengers to stretch out. The longer and wider body of the Explorer also affords more cargo room than does the GMC Terrain. 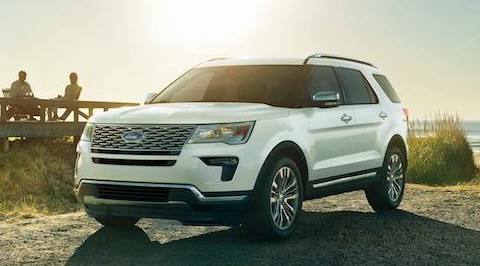 When comparing the base model price for these vehicles the 2019 Ford Explorer has a slightly higher MSRP. The base model Explorer is also equipped with more standard features such as Adaptive Cruise Control , AdvanceTrac® with Roll Stability Control™and Trailer Sway Control. Similar features are available but cost a bit extra on the GMC Terrain. The Ford Explorer is offered with a choice of three engine types: 2.3L EcoBoost®, 3.5L EcoBoost® and 3.5L Ti-VCT V6. The Terrain is offered with a choice of either the efficient 1.5L or 2.oL Turbocharged engine. The top-end Explorer V6 engine delivers 365 horsepower while the top-end turbocharged Terrain engine offers a maximum 252 horsepower. The Explorer also has a higher maximum towing capacity of 5,000 lbs. compared to the 3,500 lbs. of towing capacity of the Terrain. The 2019 Ford Explorer Limited has similar efficiency specs as the the GMC Terrain Denali. Both models offer an estimated fuel efficiency around 20 MPG/City and 27 MPG/Highway. As the larger of the two vehicles, the Explorer has a larger fuel tank which means fewer trips to the pump and more time on the road. To further your research, we invite you to come Reynolds Ford of Norman to test drive a new 2019 Ford Explorer. We have a wide selection to choose from and our friendly sales team is always happy to answer your questions.